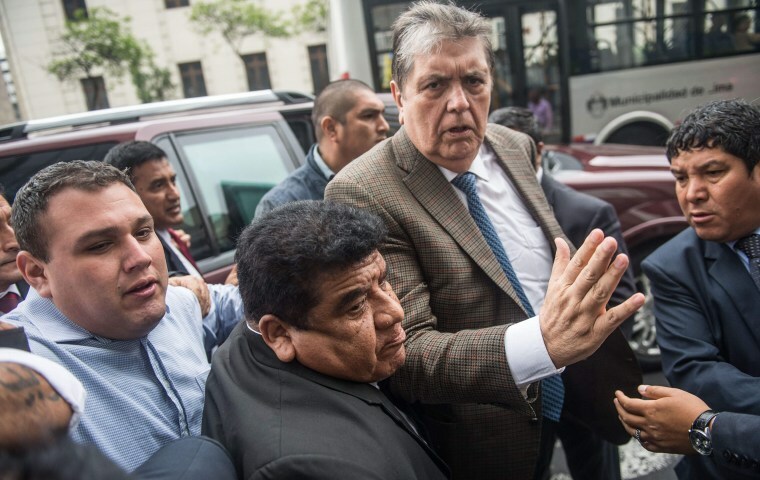 LIMA, Peru — Peru's government says former President Alan Garcia is seeking asylum in Uruguay days after a prosecutor sought to retain his passport as part of a corruption probe. Sunday's statement from the Peruvian foreign ministry says it was informed by Uruguay's ambassador that Garcia entered his residence Saturday night seeking protection. It vowed to provide unspecified information to Uruguay as it evaluates Garcia's request. On Thursday, a prosecutor in Lima sought to ban Garcia from leaving Peru for 18 months during an investigation into allegations he received illegal payment from Brazilian construction giant Odebrecht. Odebrecht has admitted to paying nearly $800 million in bribes to officials across Latin America. In Peru, the scandal forced the resignation of former President Pedro Pablo Kuczynski and arrest orders against two more former leaders.